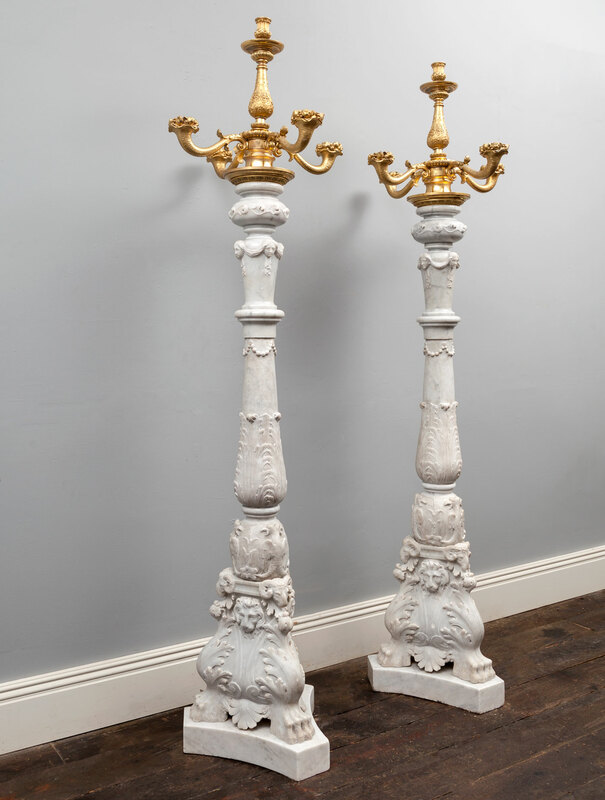 Baroque in style and made during the 19th century in Venice, Italy. 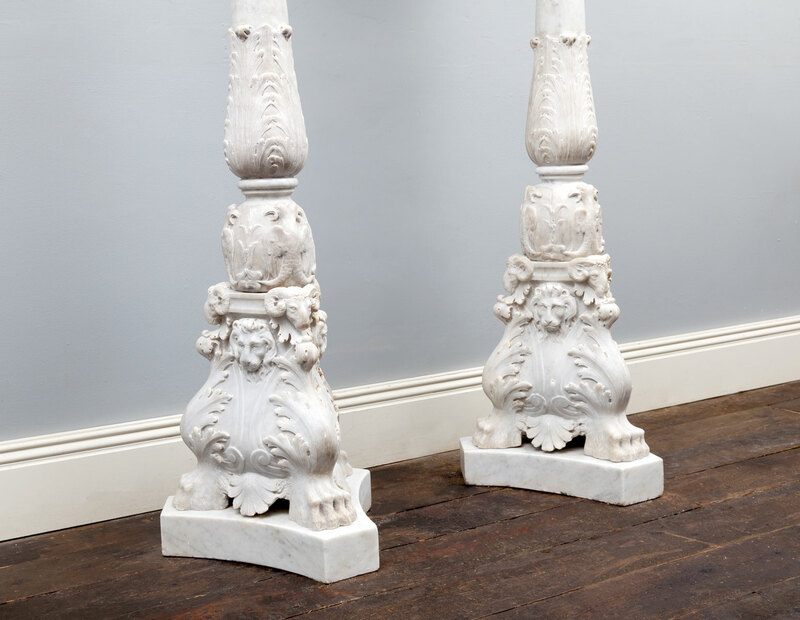 The bases with hairy paw-feet, acanthus leaves, lions masks and rams heads. 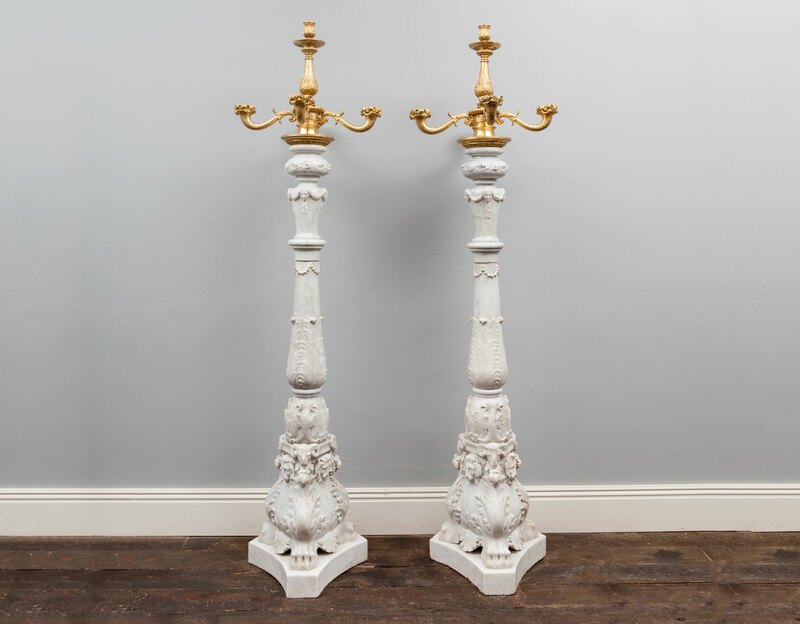 The baluster columns carved with female masks, drapery swags, double-headed eagles and acanthus leaves. 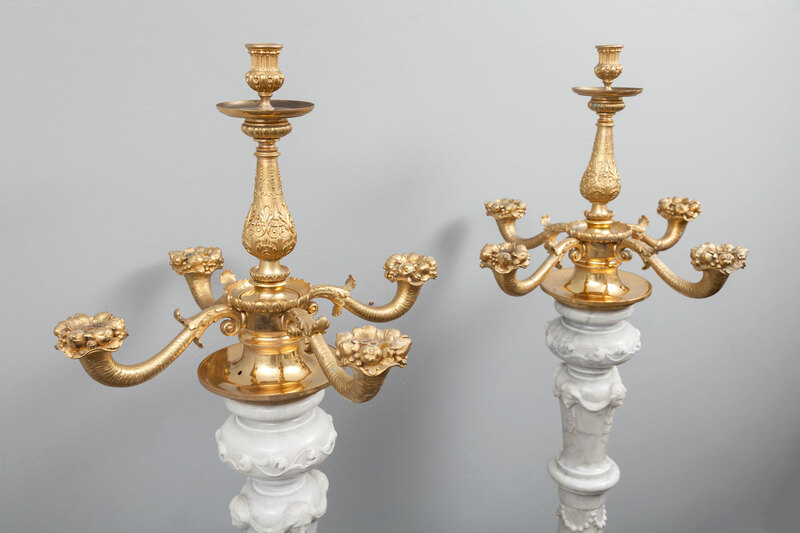 On top of the marble stems are extremely fine cast ormolu candelabras, with a central stiff and four scrolling arms in the form of fruiting cornucopia, ending in drip pans and candle nozzles.